Building your vision. To us, true custom design means every one of our homes starts with a blank sheet. No templates and no floor plans. We fill that sheet with your ideas, needs and preferences to build out a vision that’s uniquely you. Then, we work side-by-side with you to refine your vision into a home you can be proud of and will last for generations. Great houses don’t just happen. They come from good listening and smart building. We’ll work with you to make sure you understand where we’re at in the process, and give you ample opportunities to make sure we’re moving in the right direction. After all, it’s your vision. We just bring it to life. Vicky Kujundzic’s approach to custom home building goes beyond simply producing homes—it’s about creating that impactful WOW factor with attentive detail, functional floor plans and inventive designs. Her dedication to quality and service is demonstrated in every aspect of her business. She is a custom builder whose approach is hands-on throughout every aspect of the new home building process—from overseeing the design to managing the build construction. In fact, Vicky provides comprehensive home completion including decks, landscaping, window treatments staging and interior decorating too! For over 17 years, Vicky has been providing quality custom homes that are created with the pride and dedication that comes from a personal passion that considers home construction an art form. Each home that Vicky builds is a reflection of this pride and dedication to modern, revolutionary design and impeccable craftsmanship. Improving the way people live by building personalized homes. That is our mission. For over 29 years, the Parkwood Group of Companies has actively chosen to be a mid size builder placing emphasis on customer service and high quality workmanship. We take the time to get to know each of our homeowner’s needs so that we can deliver the personal touch to transform each of our houses into Dream Homes. Personal attention is at the ethos of what we do. That is the Parkwood Difference. We specialize in contemporary & luxury homes, while redefining luxury & the way homes are built! Building with Confidence since 1976. For over forty years, we've been working with Edmontonians to build homes that are functional, beautiful, and tailored to their needs. We're passionate about designing floor plans that are flexible and work for real people and their lifestyles. Our commitment to quality has earned us a strong reputation that has been recognized across the home building community. Building a new home is not just a matter of floor plans and lighting decisions. It’s about transforming stark walls into personal sanctuaries. At Coventry Homes, we’re more than a house builder…we create innovative lifestyles! Browse through our website and our showhomes and you’ll see that, among Edmonton home builders, our approach is unique. Coventry is proud of our industry leadership and contributions as we have helped build Edmonton neighborhoods for years. We lead in innovation. We lead in lifestyle choices. We lead in location. National Award Winning Custom Home Builder. We build homes for all those who understand and enjoy the value of design in their everyday living spaces. It starts with your vision on how you wish to live. Paying attention to details such as an open riser staircase to add to the open environment. Or that chic, functional kitchen that is the envy of all that visit you. All attentive features that create a home that’s complete. Our new homes are designed to provide practical living space suited for you and your family, while incorporating details of elegance. Each home model is professionally designed, drawing from the insights and experience of the Cameron Homes’ family. Homes By Design Innovations Inc.
We are a premier interior design, custom home design, & building company serving Edmonton, Alberta, Canada & surrounding areas. We are accomplished in the delivery of ANY design style you can imagine. We take pride in creating a wonderful experience for our clients from the first conception to the final completion. Working throughout western Canada, we welcome all inquires for your home or commercial projects. We look forward to helping you create the perfect style! We are an Edmonton based custom home builder. We are passionate about creating homes and spaces that are inspired by the beauty of classic architecture, while responding to the modern lifestyles of today. Our focus is quality, and on creating an exceptional customer experience when building. Not only do all of our clients get their one of a kind dream house, but we have fun while doing it. From the first line drawn, to the last brick laid, our quality and attention to detail will result in unique inspiring spaces that will stand the test of time. Building your dream home is a financial and emotional commitment and one which De Waal Developments takes seriously. We are a small volume home builder and we treat each customer like they are family, being responsive to needs and directly available to our clients is of the utmost importance to us. We analyse every detail of your home along the way the find out what works best for you and your home. We strive to use the best materials that last the longest and have the best warranties. 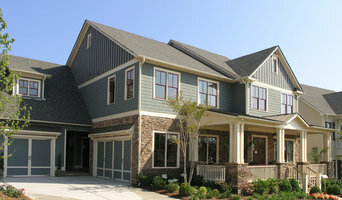 Our homes are built sustainable and energy efficient. A De Waal home is a home for life. Hager Developments is a master builder with over 30 years experience in building custom homes and completing home renovations in the Edmonton area. As a family-run business, we know the importance of building a foundation of trust with our clients. What separates us from other builders is we don't take on more work then we can handle, this allows us to deliver a personal home building experience. We assure you that your project will be treated as a priority and one of the company owners will be on your site everyday. This process allows us to ensure a standard that is unmatched and a project completed on time. We have the experience and expertise to build the type of home that suits your needs and family. We deliver a full-service custom home – from innovative design to construction excellence, delivering on time, on budget and on our word. Our attention to detail and personalized service is what’s helped us grow our business on referrals year after year. We encourage our customers to be involved in the building process, by doing so we have formed great relationships with our clients, if you are considering using Hager developments please feel free to contact us for referrals. We will gladly customize your favorite plan or feel free to modify one of our custom plans. At “Blackstone Homes”, you aren’t just a client, you are part of the “ Blackstone family.” We welcome any questions that you may have. So now that we have shared our story, let’s share some new ones together. Blackstone Homes, the 1-2-3- first steps to making your dream-home a reality. 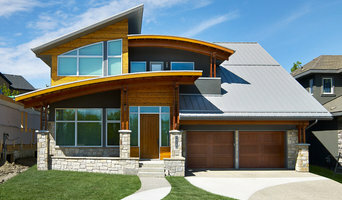 Iconic Homes has a long standing reputation for building and servicing some of the finest homes Alberta has seen. We are a passionate group of people who believe in the product we sell and service. The word custom is used often in the building industry. Few have met the mark in defining what custom truly is. We believe that our design is built primarily around your lifestyle. This is why we build all of our floor plans strictly from feedback you give us. We are not custom builders we are “Personal Builders”. Michael Homes Inc. was named after the company’s president and founder Michael Thibert, who has been in the home building business for over three decades. The company is family run, with Michael’s son Paul managing the day-to-day operations. At Michael Homes, our strength lies in the versatility and expertise of our incredible team. We use only the most qualified tradespeople and suppliers, ensuring that your new home meets and exceeds all of your highest expectations. Our commitment to these standards ensures that your new residence will be more than just your new house; it will be your new home. Whether you’re building a brand new home or you just need to update your kitchen, brighten up your bathroom, or rearrange a wall or two, North Elm’s skilled craftsmen can make your idea come to life. We built North Elm to handle anything - from start-to-finish home designs and unique builds to renovations and repairs. We approach every project on an individual basis in order to maximize functionality as well as aesthetics. That goes for residential spaces as well as commercial projects in Edmonton and the entire capital region. For builders who also act as developers, the job starts well before the first nail is driven. They perform Edmonton, AB market research to determine whether the prospective homesites make sense in the Edmonton, AB market, as well as survey the land on which the house will be built to make sure it is suitable for construction. They also obtain the necessary permits. A good builder has skills that go far beyond construction — he or she must supervise subcontractors and artisans; keep tabs on Edmonton, AB zoning regulations, building codes and other legalities; inspect work for problems along the way; and perform dozens of other roles that are essential in building a quality house. Here are some related professionals and vendors to complement the work of home builders & construction companies: Interior Designers & Decorators, Landscape Architects & Landscape Designers, Architects & Building Designers, Kitchen & Bath Designers, Specialty Contractors. Builders are responsible for ensuring that the home-building project sticks as closely as possible to the specified timetable, particularly in the event of change orders. Custom and luxury home builders also need interpersonal skills to deal with clients of all types, soothe frazzled nerves, negotiate conflicts and resolve problems. Find custom home builders and luxury construction companies on Houzz. Narrow your search in the Professionals section of the website to Edmonton, AB new home builders. You can also look through Edmonton, AB photos to find a house you like, then contact the builder who worked on it.